In instances when common electronics like stereos, televisions, computers and other popular electronic products are unwanted or no longer operate you need professional disposal services. When these items are to be discarded and are to be discarded they are referred to as E-waste. Inside many electronic components are known to consist of several, hazardous, materials such as lead, cadmium, beryllium or brominated flame retardants which can be extremely dangerous if exposed to people or the environment. For this reason alone it is absolutely important that people exercise proper E-Waste disposal or practice recycling E-Waste as exposure to these toxic materials can result in adverse, human, health, effects and various forms of pollution . For example the waste management laws of California currently categorize nonfunctioning cathode ray tubes from televisions and computer monitors as hazardous as they contain up to 8 pounds of lead and wrongful exposure to this can lead to soil/water water contamination as well as impaired cognitive function, behavioral disturbances and nervous system damage in humans. Never mind that most E-waste is considered unwanted the majority of these products can be recycled or reused for numerous purposes but for people who may not know or have the equipment to recycle E-waste there are waste removal services who come in and manage this for you. Not only will this service include collection of E-Waste but it would also involve its transport and processing as well. Managing E-Waste in this way provides a more eco-friendly alternative as it prevents any major, health, issues, reduces pollution and greenhouse gas emissions into the atmosphere. If you live in California and you have E-Waste you need to dispose let us come in and manage it for you. Located within the Sonoma and Marin counties Junk King is here to help as we specialize in the removal of all types of waste commercially and residentially inclusive of transport and processing . Benefit from our top rated, professional services and affordable pricing and get your waste items removed safely and hassle free. Whether it be E-Waste or other items our services facilitate safe, efficient and professional waste removal. So be responsible and promote safe E-waste disposal as these practices play a crucial role in keeping the environment clean and the general population safe. 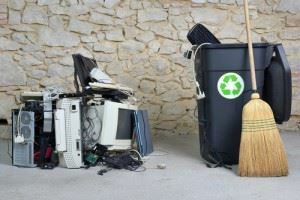 To get your E-Waste removed visit our website at www.junk-king.com to book online or call us at 1-888-888-JUNK to schedule an appointment right away. This entry was posted in Uncategorized and tagged hot tub removal, junk hauling, junk hauling companies on August 23, 2017 by Julian Torres, "JT". Last updated September 4, 2017 .